Chicago-based United States Artists (USA) has selected its 2018 fellowship class, and the 45 recipients across the United States will each receive an unrestricted $50,000 grant to spend as they please. This year, the class includes architects Amanda Williams and Norman Kelley, comprised of Carrie Norman and Thomas Kelley. Founded in 2006 as a response to National Endowment for the Arts’ (NEA) budget cuts and discontinuing of personal grant awards, USA awards these funds without restrictions so that artists can pursue any project they’d like. 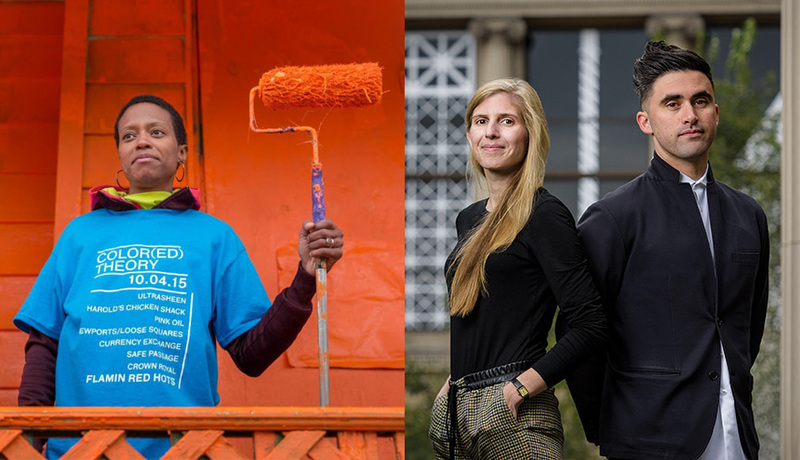 The group is supported by a number of larger foundations, including the Ford, Rockefeller, Rasmuson, and Prudential Foundations, as well as private donors. Artist and designer Amanda Williams has consistently bridged the divide between art and architecture while commenting on the African-American experience. 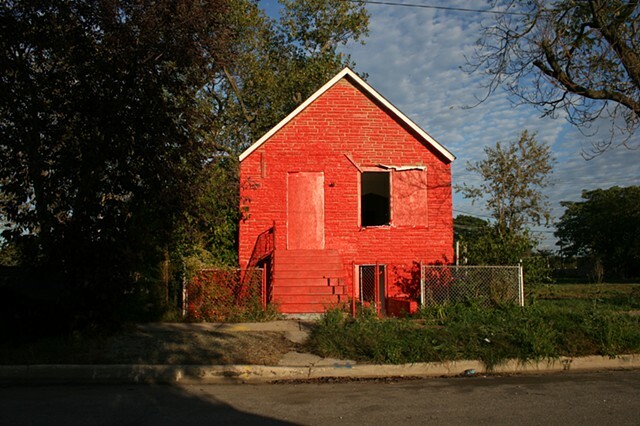 Williams is most well known for her Color(ed) Theory project, in which she painted abandoned houses on Chicago’s South Side in bright, monochrome colors. The work references Gordon Matta-Clark’s reclamation of condemned urban space, as Williams sheathed the condemned buildings in colors found in the urban environment, which re-activated the buildings and drew attention to their broken-down state. Williams has recently been celebrated for both her ideas as well as her architecture, and has had work shown at Design Miami 2017 alongside Sir David Adjaye at the “Spatializing Blackness” exhibition. She will be an exhibitor at the U.S. pavilion at the 2018 Venice Architecture Biennale. Norman Kelley, the New York and Chicago architectural practice founded by Carrie Norman and Thomas Kelley, was also recognized for both their built work and design. Similar to Williams, Norman Kelley was singled out for their ability to transition between design and architecture, and work in both two and three-dimensions. Their work hasn’t been confined to the theoretical, as the studio has realized several projects throughout the country, including their collaborations with Aesop in Chicago and New York. A full list of the 2018 Fellows can be seen here.